With the release of iOS 7 beta to developers, we have seen hackers got another task to done. 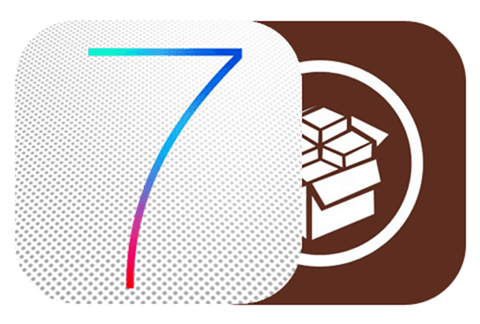 iOS 7 Jailbreak quickly gained a lot of hype around the community, and number of iOS hacker teams claimed to started their work on iOS 7 Jailbreak for the prime time. In addition to it, we have seen hackers going underground with their iOS 7 Beta Jailbreak that allows them tethered jailbreak on older devices. However, last weekend, we got a claim from prominent iOS Jailbreak hacker, and a well-known person behind the GreenPois0n who claimed that he is working on something bigger than Jailbreak. Joshua Hill the author of GreenPois0n claimed to be working on an “OpenJailbreak” project which remains mysterious to everyone in the community. No one actually got a hint over the OpenJailbreak process, and as well as he didn’t released a single screenshot of his upcoming project. But kept saying that he is working on something bigger than Jailbreak. Many speculated that he is working on A5+ devices bootrom exploit to bring unlimited iOS Untethered Jailbreak vulnerability similar to Limera1n. However, a day after his claims, we got a tweet from another well-known person bashing the claims. MuslceNerd – the person behind Redsn0w, and as well as an active member of Evad3rs claimed that there is no A5+ devices bootrom exploit, and no one can actually got their hands on the bootrom exploit. The community got confused between two prominent hackers mess, but I guess it is the correct time to reveal who is wrong. P0sixNinja is appeared to be making fun of the community once again, he has done the same thing in the past when Apple released major update. Furthermore, he has start blaming everyone out there for making stories that he hinted. Joshua Hill is apparently blaming Jailbreak blogs, or more clearly the persons who are actively covering iOS Jailbreak community since the very first day. The persons who brought their jailbreak tools in front of public, and referred thousands of followers to his Twitter profile over the time. He also revealed that he is not working on anything bigger. He revealed in an IRC chat to Comex – yet another well-known iOS hacker. @MuscleNerd – There is no A5+ bootrom exploit, by anyone. Not even a bootrom dump. Nothing. @MuscleNerd – This is third year in a row you’ve tried to drum up hype over the bootrom. Bootrom is the *easiest* thing to prove one has. @MuscleNerd – Please stop misleading people that you do. It reflects poorly on all of us. ‏@MuscleNerd – bottom line: people thought the “bigger than jailbreak” stuff was a bootrom-based exploit. Now that hype can be laid to rest. MuscleNerd pin-points Joshua Hill for again trolling the whole community, and kicking the butts of everyone in the community for staying silent and letting the people assume what they want. At the end, we are not here to say that iOS 7 Jailbreak is not coming. It is indeed in works by Evad3rs, and they are working over the nights to bring iOS 7 Jailbreak for public.